SHOP THE FALL 2017 READY TO WEAR COLLECTION FROM DKNY | Fashion Fab News - fashion, beauty, celebrities, designers . From blazers to bags, step out in style this fall in DKNY’s newest women’s collection. Plus, all US orders ship free - no promo code needed. Here are a few of our favorite picks from the new line. This piece proves a blazer never goes out of style. With notched lapels and placket cuffs, dress it down with a logo tee for a fresh take on a wardrobe staple. 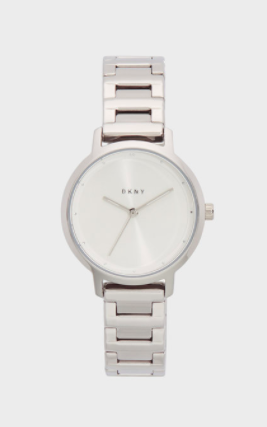 Classic and cool, this stainless steel watch speaks for itself. This timepiece is small enough to wear with bracelets or stand on its own. 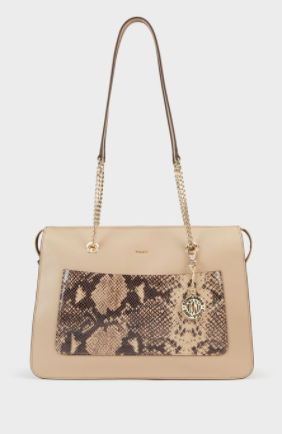 Incorporate luxury into the every day with this sophisticated zip tote. Sturdy metal and leather handles make this bag a fashionable and functional option for a day at the office to a night on the town.